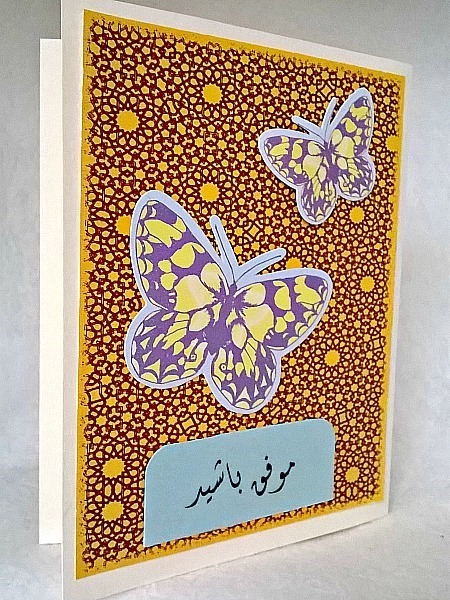 Farsi handmade mo'afagh bashed card featuring two butterflies and a greeting that reads, "Good luck". 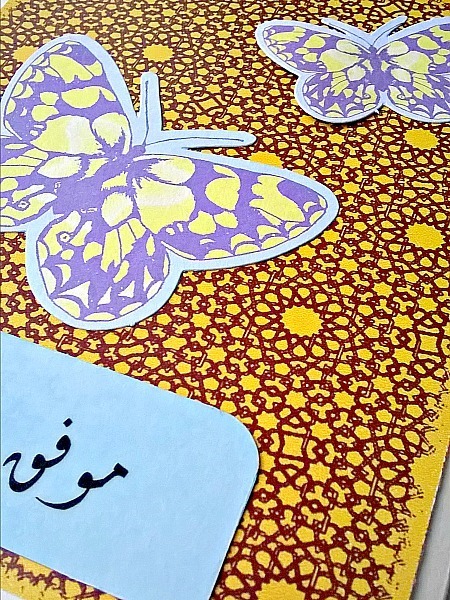 The two butterflies are flying over an orange and brown geometric background. 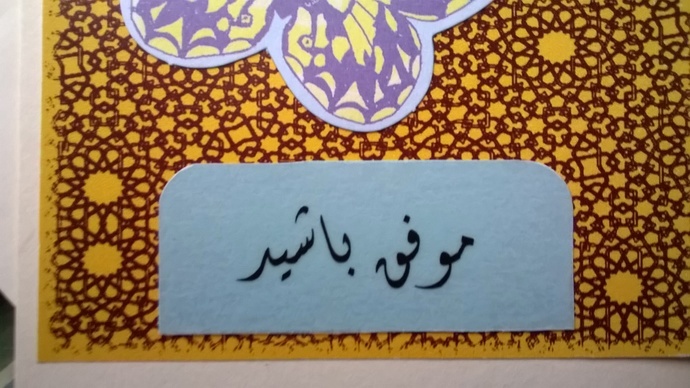 The words were printed on vellum and added to light blue cardstock. 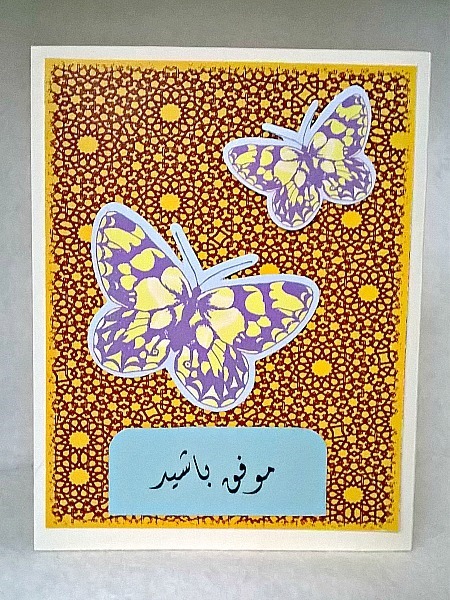 This card can be perfect for any occasion - upcoming tests, school graduation, or new employment.